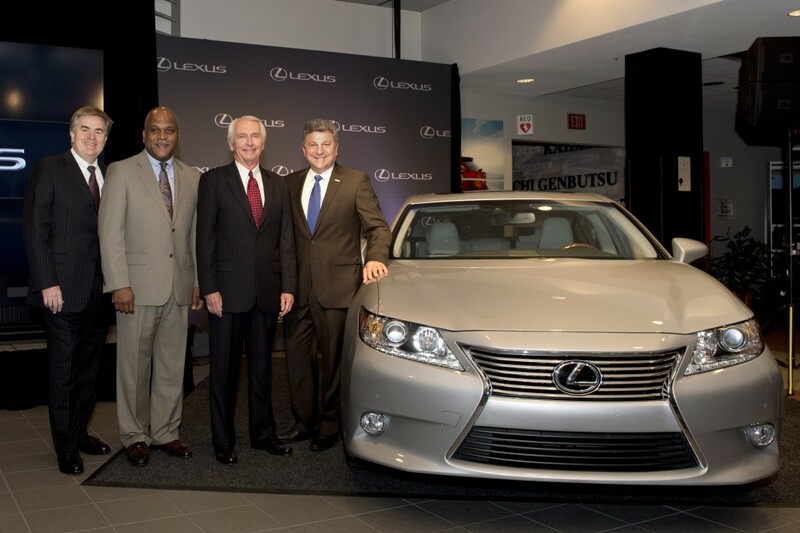 GEORGETOWN, Ky. (April 19, 2013) – For the first time, a Lexus vehicle will be produced in the United States. 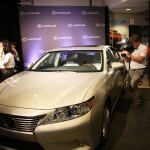 The Lexus ES 350 will be assembled at Toyota Motor Manufacturing, Kentucky (TMMK) in 2015. The decision to move ES 350 production to Kentucky “is a true tribute to the hard work and commitment to excellence of every single Toyota team member at this plant,” James said. 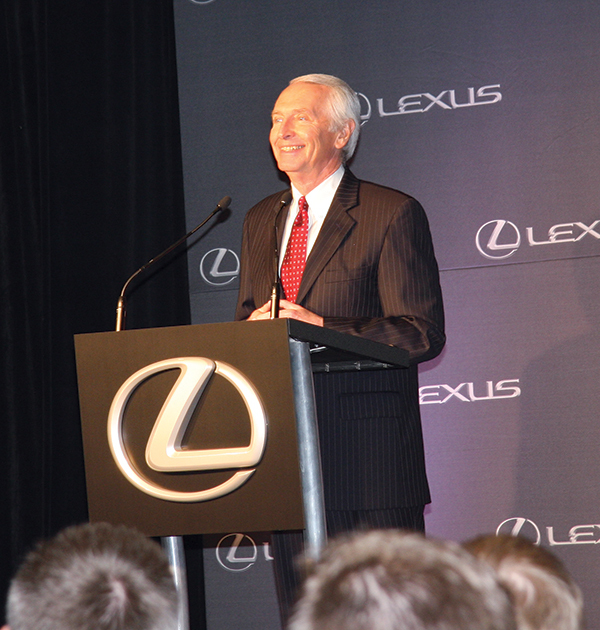 Since its arrival in Georgetown in 1986, Toyota has had an immeasurable impact on Kentucky, said Gov. Steve Beshear. 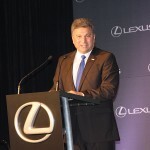 Steve St. Angelo, a managing Toyota officer who was instrumental in getting Lexus production to Georgetown, first got the idea when he was visiting Lexus of Lexington. 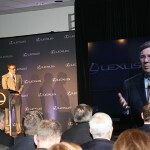 He liked how that sounded, he said Friday at a press conference at TMMK that was linked to a press conference conducted in New York via satellite, prior to a major New York City event showcasing Lexus’s commitment to groundbreaking design. St. Angelo is CEO of Toyota’s Latin American and Caribbean Region and chairman of Toyota de Brazil, but his Toyota roots are in Georgetown. 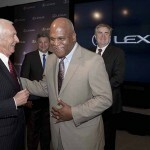 He began his career with Toyota as executive vice president and later president of manufacturing at TMMK. Production of the ES 350 at the Georgetown plant is the latest step in Toyota’s continuing strategy to assemble vehicles in the markets where its customers live. Over the past 17 months, the company has announced plans to increase production capacity at its plants in Mississippi, Indiana, West Virginia and Canada, reflecting a cumulative investment of approximately $2 billion that has created more than 4,000 new jobs. 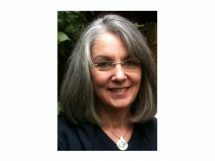 Toyota also recently announced executive changes designed to provide regional managers with more local control and a streamlined decision-making structure to help the company deliver superior customer-focused products and services. Established in January 1986, TMMK is Toyota’s largest manufacturing facility outside of Japan, employing approximately 6,600 people. The plant currently assembles the Toyota Camry, Camry Hybrid, Avalon, Avalon Hybrid and Venza and manufactures 4-cylinder and V6 engines. It has earned 10 Initial Quality Plant Awards from J.D.  Power and Associates, including four gold J.D. Power Awards. In 2012, the plant produced the 25 millionth Toyota vehicle built in North America. Toyota recently committed to boosting production capacity for the 4-cylinder engine at the plant by more than 100,000 units. This $30 million project will create about 80 new jobs. The location of TMMK in Georgetown has helped drive Kentucky’s automotive industry into the thriving force it is today. Kentucky is currently home to approximately 450 automotive-related industries that employ nearly 80,000 people. Additionally, the ties between Kentucky and the Japanese business community continue to flourish, with Kentucky today boasting more than 150 Japanese-owned manufacturing, service and technology facilities that collectively employ 37,000 people. 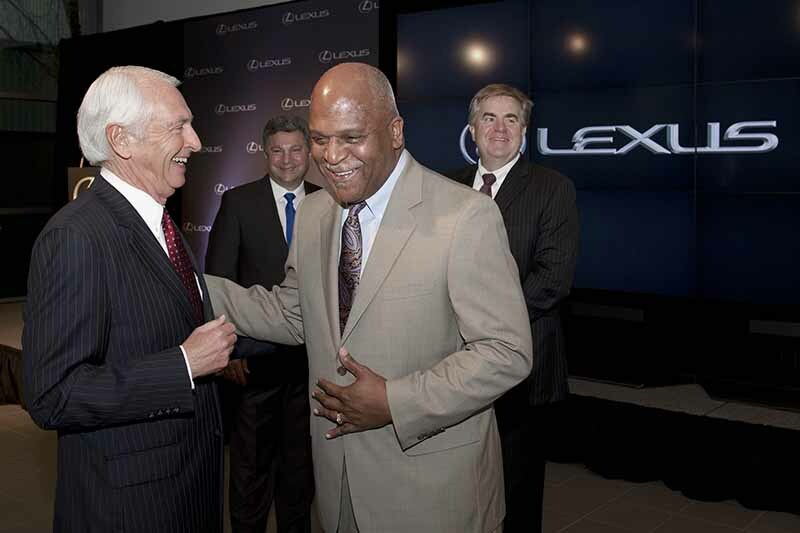 Beshear’s administration developed key legislation that allowed Toyota to evaluate the benefit of moving Lexus ES production to the commonwealth, a new release from the governor’s office says. The Kentucky Jobs Retention Act (KJRA) is an incentive program designed to spur job creation and significant investments in Kentucky’s automotive and parts manufacturing facilities. The program originally was designed to encourage the recent investment and job growth by Ford in Louisville, but Beshear recognized its potential for other auto makers and large parts manufacturing facilities. He signed House Bill 400 (HB 400), sponsored by Rep. Larry Clark, D-Louisville, and passed in the 2012 special legislative session, which expanded the KJRA to make it accessible to companies like Toyota. Beshear then met with top Toyota officials during an economic development visit to Japan in November, when he discussed expansion plans for Toyota in Kentucky, including a possible addition of Lexus production. 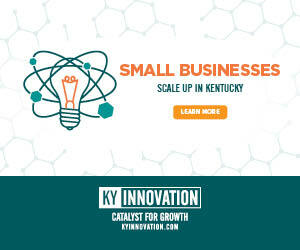 The Kentucky Economic Development Finance Authority preliminarily approved the company for tax incentives up to $146.5 million through the Kentucky Jobs Retention Act. 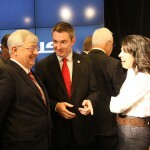 Rep. Ryan Quarles, R-Georgetown, center, speaks with other attendees of the Lexus new conference. 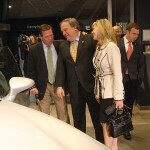 Kentucky Senate President Bob Stivers, center, and his wife, Regina, a field representative for U.S. Senate Republican Leader Mitch McConnell, admire the Lexus ES, which will be manufactured in Georgetown, Ky. The Lexus ES was on display at TMMK during the announcement that the vehicle will be produced in Georgetown, Ky.
Toyota employees discuss the logistics of adding a production line at the Georgetown plant. Former Gov. 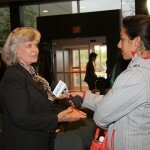 Martha Layne Collins, who helped recruit Toyota to Kentucky in the 1980s, is interviewed by a reporter from WKYT. 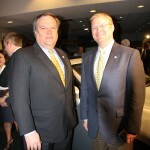 Kentucky Senate President Bob Stivers and Majority Floor Leader Sen. Damon Thayer attended the news conference at TMMK. Former Lexington Mayor Jim Newberry talks with U.S. Congressman Andy Barr, R-Ky., at Lexus event at TMMK. Lt. Gov. 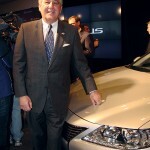 Jerry Abramson got a close-up look at the Lexus ES, which will be produced in Georgetown. 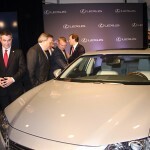 Rep. Ryan Quarles, left, Sen. Robert Stivers, Sen. Damon Thayer and U.S. Rep. Andy Barr attended the news conference in Georgetown, where it was officially announced that the Toyota plant there will being manufacturing the Lexus ES. 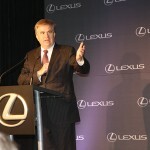 Steve St. Angelo, CEO of Toyota’s Latin American and Caribbean Region and chairman of Toyota de Brazil, talks about his dream to have the Lexus manufactured at the Georgetown Toyota plant. 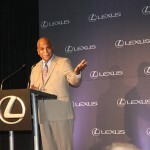 Another speaker at Friday’s new conference in Georgetown was Bob Carter, senior vice president of automotive operations for Toyota Motor Sales (TMS), U.S.A.
TMMK President Wil James thanks his employees for their hard work during a news conference announcing that the plant in Georgetown will be adding 750 new jobs as it begins manufacturing the Lexus ES. Gov. 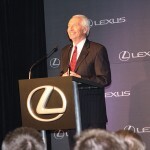 Steve Beshear speaks Friday at Toyota Motor Manufacturing Kentucky in Georgetown during a press conference announcing that the plant will being producing the Lexus ES. 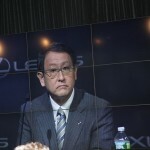 Akio Toyoda, president of Toyota Motor Corp., joined Friday’s press conference via satellite from New York. Jim Lentz, Toyota’s chief executive officer for North America, conducted the press conference in New York and in Georgetown via satellite, with the help of Mike Goss, left, general manager of external affairs at Toyota, who emceed Georgetown’s portion of the conference. 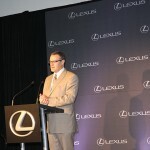 Mike Goss, general manager of external affairs at Toyota, emceed Georgetown’s portion of the news conference announcing that the Lexus ES will be manufactured at Toyota Motor Manufacturing Kentucky. Toyota Motor Sales Senior Vice President of Automotive Operations Bob Carter. 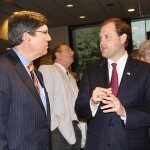 left, Toyota Motor Manufacturing, Kentucky President Wil James, Kentucky Gov. 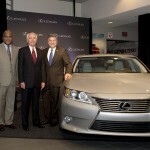 Steve Beshear and Steve St. Angelo, chief executive officer of Toyota’s Latin American and Caribbean Region, stand with a Lexus ES 350, a vehicle that will be built at the Georgetown, Ky. plant. 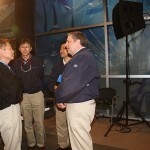 Senior executives in New York and Kentucky made the production announcement April 19.